Megaraptor namunhuaiquii Claw. 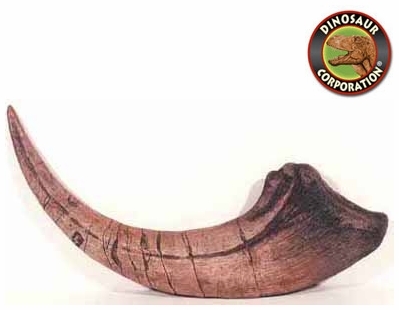 Dinosaur claw replica. Megaraptor is a genus of large theropod dinosaur that lived in the Coniacian stage of the Late Cretaceous. Its fossils have been discovered in the Patagonian region of Argentina. Initially thought to have been a giant Dromaeosaur-like Coelurosaur, it has classified as a neovenatorid allosauroid or tyrannosauroid coelurosaur.